If John works hard, he will pass his examination. If the rain stops I shall go for a walk. Unless the rain stops I shall not go for a walk. I will help him if he asks me. I won’t help him unless he asks me. He will do the work if (provided that/on condition that) he has the time. If you are right, I am wrong. If he comes, I tell you. If you boil water, it changes into steam. 1. If + Present Simple\Future Perfect Tense เช่น If I get this right, I shall have answered every question correctly. 2. IF + Present Simple, Past Simple Tense เช่น If what you say is right, then what I said was wrong. 3. If + Present Simple, Imperative Mood. เช่น If you meet Henry, tell him I want to see him. It the ground is very dry, don’t forget to water those plants. If you should meet Henry, tell him I want to see him. If he should come, please give him this book. If you should be passing, do come and see us. If the train should be late, what will you do? 5. If + Past Simple, Present Simple Tense เช่น If I said that, I apologise. 6. If + Past Simple, Past Simple Tense เช่น If I said that, I was mistaken. 7. If + Past Simple, Future Simple Tense เช่น If I made a mistake, I will try to remedy it. 8. If + Present Perfect, Future Simple Tense เช่น If I have made a mistake, I will try to remedy it. 9. IF + Present Perfect, Present Simple Tense เช่น If you have done your work, you may go to the cinema. If you will sign this agreement, I will let you have the money at once. แต่ข้อความข้างบนจะสุภาพยิ่งขึ้นถ้าใช้ “would” เช่น If you would (=would be so kind as to/would be kind enough to) sign this agreement, I will let you have the money at once. If Henry were here, he would know the answer. If I had the money, I would buy a new car. If I were King, you should be Queen. If he were really interested in buying the property, he would have made an offer before now. If John had worked hard, he would have passed the examination. If you had asked me, I would have helped you. If I had had the money, I would have bought a bigger house. If the hat had suited me, I would have bought it. I should never have done that work if you had not helped me. If you hadn’t told me about it, I might never have gone to see it. If you had been there last night, you will have helped me. If I had the money, I should buy a new car. If the grass needed cutting, I would cut it. If the hat suited me, I would buy it. If John had worked hard last term, he would have passed the examination. If you had asked me that time, I would have helped you. If Richard worked hard next term, he would pass the examination. What would you say if I were to tell you that Mary is going to be married? If our train were to arrive punctually, we should have time to visit your sister. If he should come here, please tell me. Please tell me if he should come here. We should have time to visit your sister if our train were to arrive punctually. John would have passed the examination if he had worked hard. I will go if it should be necessary. 2. Were our train to arrive punctually, we should have time to visit your sister. 3. I will go, should it be necessary. 4. Had John worked hard last term, he would have passed the examination. Someone who trains people for football, basketball, swimming, and other sports. A special teacher who helps you if you have problems and are unhappy at school. 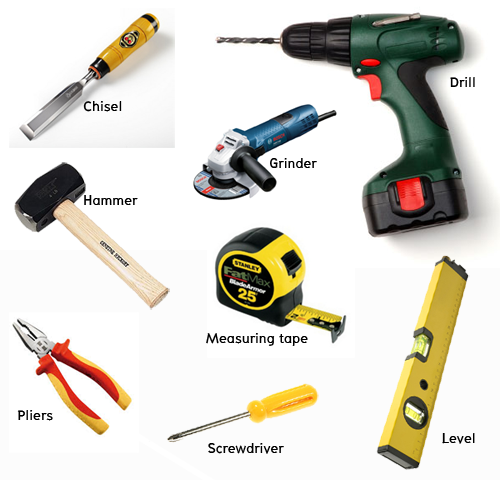 Someone who helps people learn skills such as driving a car, riding a horse, flying a plane and other things like these. A teacher at a college or university. The teacher in charge of a school. Other words that can mean the same are headmaster and headmistress. The teacher in charge of a university department. Someone who teaches animals to do tricks and to work. A teacher who comes to your house to help you with your school work. Another word that can mean the same is coach. Is Prayuth there, please? แปลว่า คุณประยุทธ์อยู่ที่นั่นหรือไม่ ,โปรดบอกฉัน ? Is Pisit in ? แปลว่า คุณพิสิษฐ์ อยู่หรือไม่ ? This is Messi calling for Neyma. แปลว่า ฉันชื่อเมสซี โทรมาหา เนย์มาร์. May i please speak to Ronaldo ? ขอได้โปรดให้ฉันพูดกับคุณโรนัลโดได้ไม๊ครับ ? Please wait a few minutes. 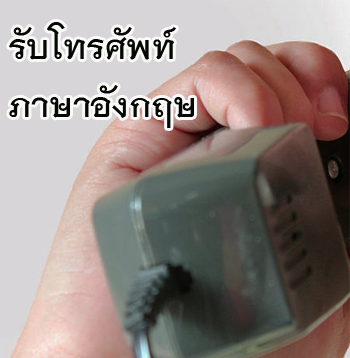 หรือ Please wait a moment. She used to be employed as a cashier at the supermarket. What sort of career do you want when you grow up? The radio wouldn’t go after I dropped it. If you do this job for me I’ll give you a dollar. They had to slave for weeks to clean up after the fire. Do you know how to use the machine? Indirect Speech: He said that he was learning English. เช่นI write home every week.I am learning English. I have been playing football. I wrote a letter to my friend. I shall see her in London. If I had my pen, I could write the answers. He said that:He wrote home every week.He was learning English. He had been playing football. He had written a letter to my friend. He would see her in London. If he had had his pen, he could have written the answers. (that) this work is too difficult. Indirect : Pope said that fools rush in where angels fear to tread. Indirect : He said that the sun is 92 million miles away. Indirect : He said that he gets up at seven o’clock every morning. Indirect : He said that his wife always drinks coffee for breakfast. เช่นI bring my book every day; the book on the desk is mine. the books on the desk are ours. He said that he brought his book every day; the book on the desk was his.She said that she brought her book every day; the book on the desk was hers. their books every day; the books on the desk were theirs. William (นำข้อความนี้ไปเล่าให้อีกคนหนึ่งฟัง) : The teacher told John that he must bring his book to the class. William (เตือน John ให้นึกถึงคำสั่งของครู) : The Teacher said that you must bring your book to the class. John (นำข้อความนี้ไปเล่าให้เพื่อนฟัง) : The teacher said that I must bring my book to the class. I saw the boy here in this room today. He said that he had seen the boy there, in that room that day. I will see these boys now. He said he would see those boys then. I spoke to them yesterday. He had spoken to them the day before. I will teach the same lesson tomorrow that I taught two days ago. He said that he would teach the same lesson the next day that he had taught two days before. George said, “This is the house where Shakespeare was born.” George said that that was the house where Shakespeare had been born. I will do it here and now. He said he would do it there and then. Indirect : George said (that) that was the house where Shakespeare had been born. Indirect : Mary said (that) she didn’t write every week. Is Charles your brother? He asked me if (whether) Charles was my brother. Has John many friends? He asked me if (whether) John had many friends. Can Henry speak Spanish? He asked me if (whether) Henry could speak Spanish. Will you help me? He asked me if (whether) I would help him. Has Mary spent all the money? He asked (enquired) if (whether) Mary had spent all the money. Do you know Mr. Brown? He asked if (whether) I knew Mr. Brown. Does Pedro speak English? He asked if (whether) Pedro spoke English. Did you see George at the football match? He asked if (whether) I have seen George at the football match. Did they all do the exercise correctly? He asked (wondered) if (whether) they had all done the exercise correctly. What is her name? He asked me what her name was. Where are you going? He asked me where I was going. How will she get there? He wondered how she would get there. Where does she live? He asked where she lived. Why do they go to Paris so often? He asked me why they went to Paris so often. What did she say? He asked what she had said. Why did you come here? He asked me why I had gone there. Indirect : He Said that he had left his watch at home and asked me if I could tell him the time. Go away! He ordered him to go away. Officer (to soldiers) : Fire! The officer commanded the soldiers to fire. Run quickly! He told (ordered, asked, requested, commanded’) me (him, her, us, you, them) to run quickly. Play the piano, please. He (she, etc.) asked me (him, her, etc.) to play the piano. Do write to me as soon as you arrive. He (she, etc.) asked (begged, entreated, etc.) me (him, her, etc. )to write to him (her, etc.) as soon as I (she, etc.) arrived. Don’t shut the door. He asked me (him, her, etc.) not to shut the door. Don’t all answer at once. He told (ordered, etc.) them not to answer all at once. I don’t know whether I should go away or stay here. He asked me whether you would rather have tea or coffee for breakfast. I am doubtful whether I can find time to see him (or not). The question whether (or not) he should be invited is not for me to decide. Ask him whether he’s coming on Friday (or not). Whether this is true or not, I cannot say. She hasn’t decided whether to sail or fly to America. 3. เมื่อใช้ในความหมาย “ขัดแย้ง” (Clause of Concession) เช่น Whether he works or not, I don’t think he will pass his examination. He always says what he means. Say you are sorry for what you have done. She says her prayers every night. He said that the point was quite clear. He said to me that the point was quite clear. I told the boy to leave. แต่ I said to the boy that he must leave. There were twenty of us, all told, who went on the excursion. A clock tells the time. I can’t tell how it was done; I told him to go away. Olaf told Pedro that he had enjoyed his stay in England. The teacher told the boy to leave the room at once. He told the boys to leave. I am glad to say that he is better. I have nothing further to say on the matter. It is said that he is worth half a million pounds. He is said to be worth half a million pounds. You must go there because I say so. Suppose I were to lend him, say, five pounds. Mr. Brown is out; I can’t say when he will be back. He said to himself (= คิด = thought) there was something wrong. What do you/What would you say to (= how would you like) a drink? What I say (= my opinion = ตามความคิดของฉัน) is that women should be paid the same wages as men. I say! Look who’s coming. The concert takes place in a fortnight’s time, that is to say on May 15th. The two children are so much alike that you can’t tell (= distinguish = แยกไม่ออก) one from the other; you can’t tell which is which. It’s difficult to tell what this is made of. He may pass his examination; you never can tell. Nobody can tell what the consequence may be. You can’t tell from his faces what he is thinking. There’s no telling what may happen. A gipsy told my fortune. I tell you. I’m sick of the whole business. George is very annoyed, let me tell you. 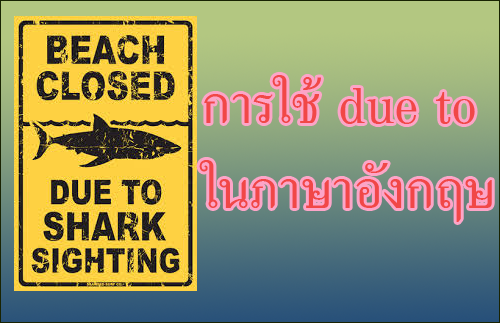 1. say + Object (หรือ + “so”) เช่น He said nothing. I say so. 2. say + “that” (Clause) เช่น He said that he was Mr. Brown. 3. say + to + (pro) noun + “that” (Clause) เช่น He said to me/the porter/that he is Mr. Brown. 1. Tell + Indirect Object + Direct Object เช่น He told me a story. 2. 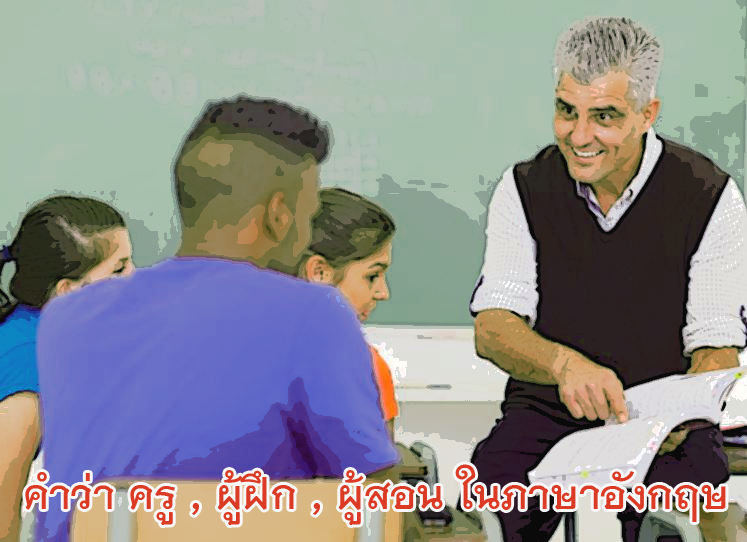 Tell + Direct Object + to + (pro) noun เช่น He told a story to me/his children. 3. Tell + (pro) noun + Infinitive Phrase เช่น I told him/the annoying person/to go away. 4. tell + (pro) noun + noun clause เช่น He told me/the porter/that he was Mr.Brown. Tell me what is worrying you. 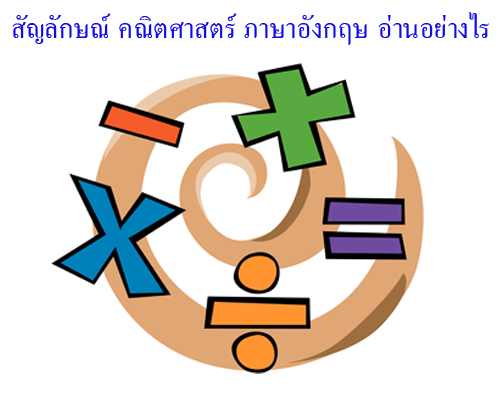 ALL และ WHOLE ใช้งานต่างกันอย่างไร ? My whole group of friends came. I bought this at Harridge’s (shop). We visited St. Paul’s (Cathedral). We are having dinner at my aunt’s (house) tonight. She put her arm through her brother’s (arm). William’s (homework) is the only homework that is never badly done. She is a lady’s maid. He has a doctor’s degree. It was a summer’s day. ห้ามเขียน ……The man whom we met’s car. He is a friend of Henry’s. We saw a play of Shaw’s. Due to repairs, the garage will be closed next week. The flight has been delayed one hour, due to weather conditions. Owing to the heavy rainfall I stayed at home. Because of you I missed my flight.